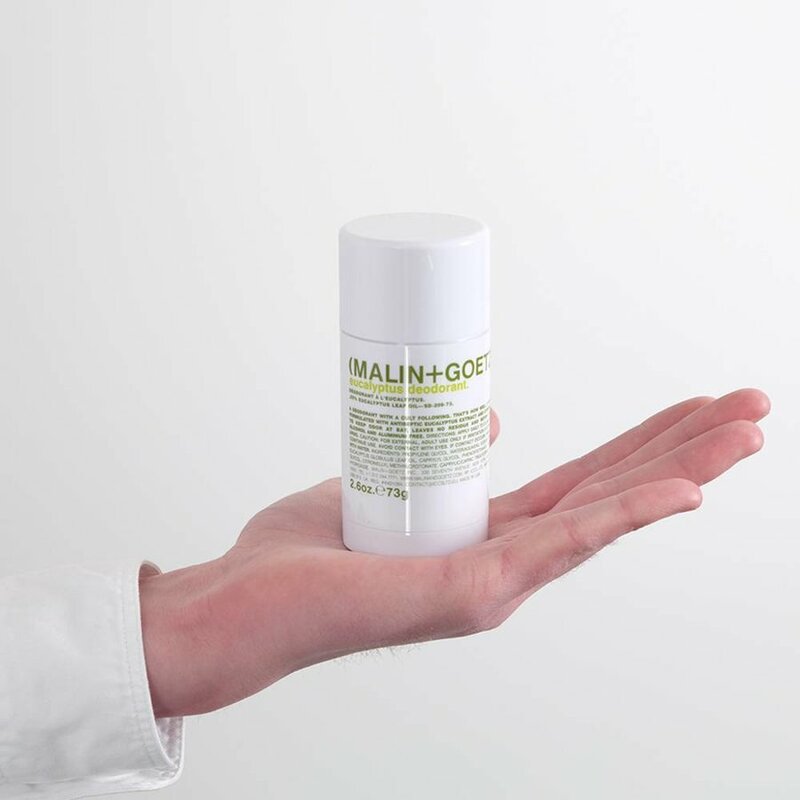 Both alcohol and aluminum free, eucalyptus deodorant from Malin + Goetz is formulated with antiseptic eucalyptus extract and citronellyl to help keep odor at bay. 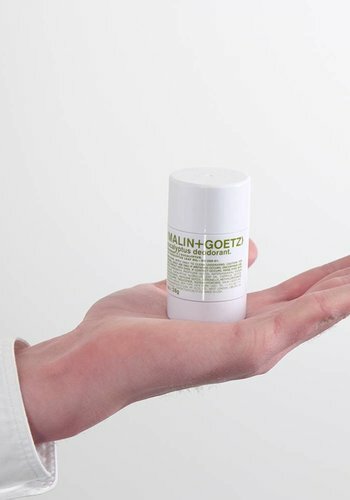 A deodorant from Malin + Goetz with a cult following. That’s how well this eucalyptus deodorant works. Both alcohol and aluminum free, it’s formulated with antiseptic eucalyptus extract and citronellyl to help keep odor at bay. 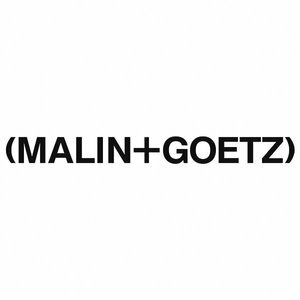 The unique combination of ingredients leaves no residue or stains so you feel (and your clothes look) fresh all day. Deodorant may not be returned or exchanged.